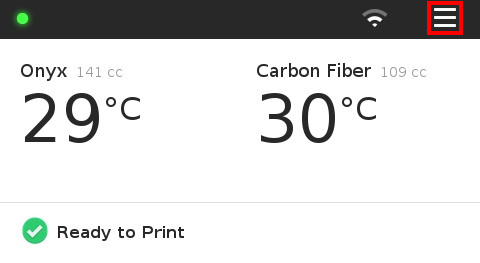 From time to time the fiber nozzle on your printer can get clogged. This is especially common after a failed print. If your fiber nozzle appears to be clogged, remove the nozzle and check to see if the PTFE tube is clogged. If it is clogged, replace the PTFE tube and reinstall the nozzle; this will resolve the majority of clogged nozzle issues. 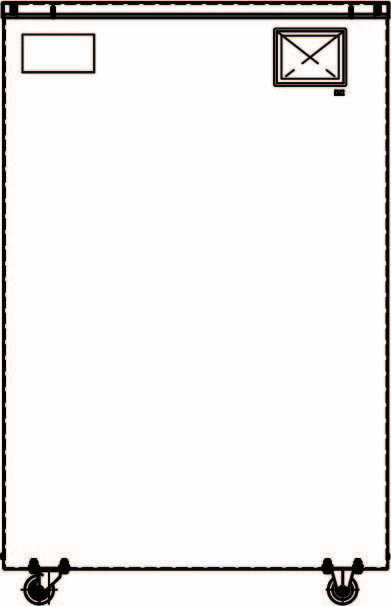 If the PTFE tube is not clogged, continue to the steps below. For more information about removing and replacing the nozzle or PTFE tube, please see Replacing the Fiber Nozzle. 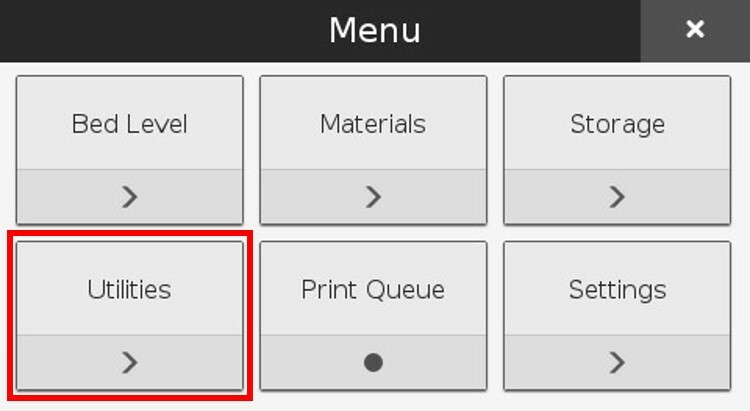 Select the Menu from the upper right corner of the printer's touch screen. 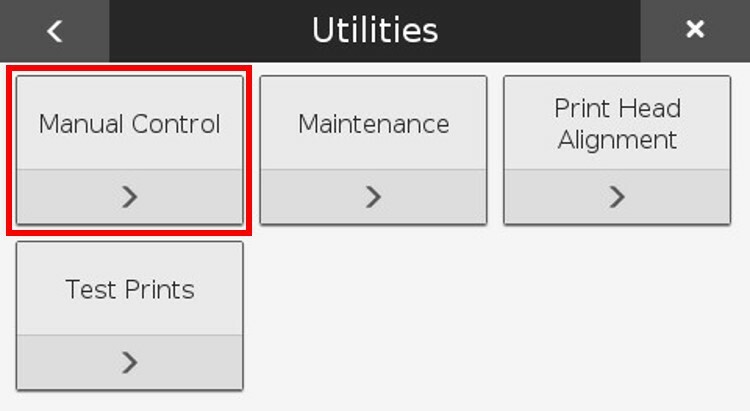 Select the "Manual Control" tile from the available options. Select the "Temperature Control" tile from the available options. 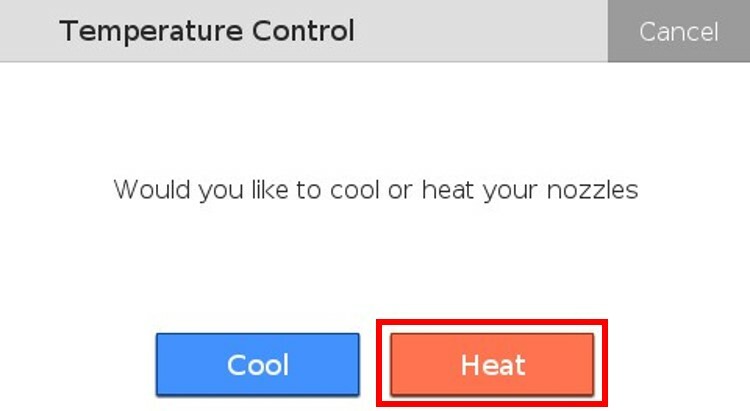 Select the "Heat" option on the screen when prompted. 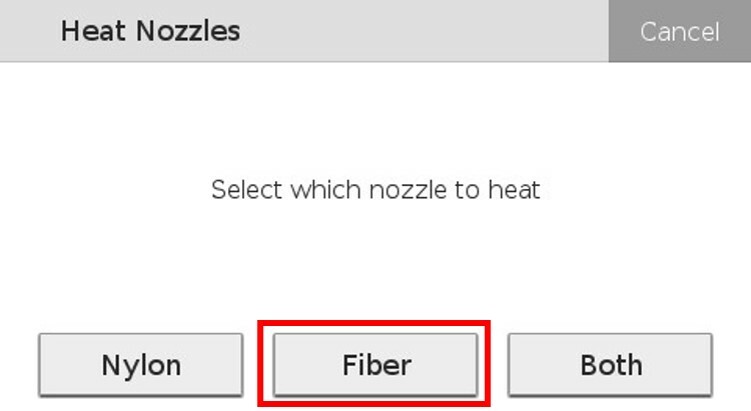 Select the "Fiber Nozzle" option on the screen when prompted. 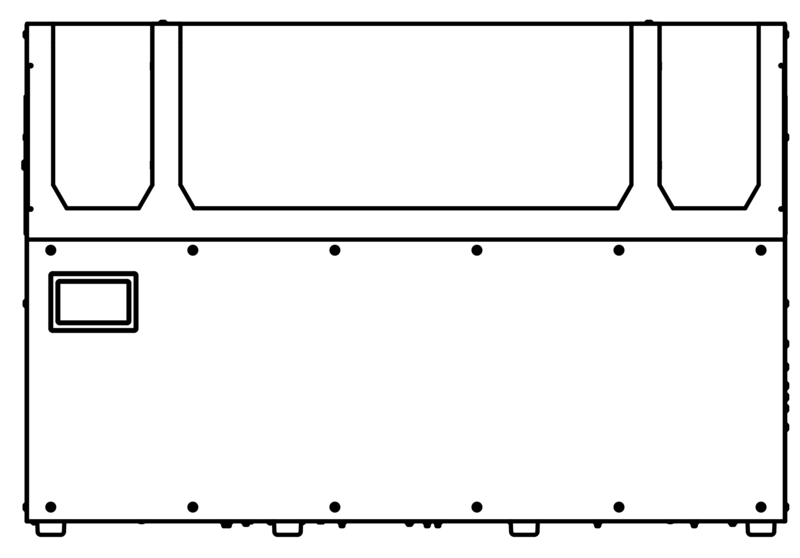 Select "Done" to exit the manual heating utility. Remove the thumb screw that connects the fiber Bowden tube to the print head. Attempt to pull any fiber strands from the PTFE tube and nozzle; if the fiber blockage cannot be pulled free, replace the blocked component. Note: If only the PTFE tube is blocked, you can just replace that without needing to replace the nozzle. 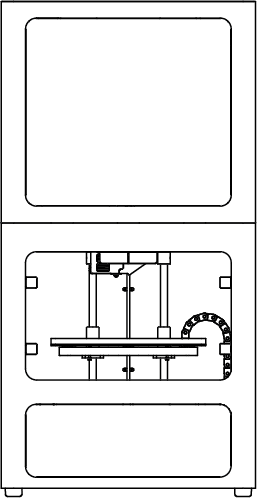 With the Bowden tube and nozzle removed, check the print head channel again to see if there is blockage. 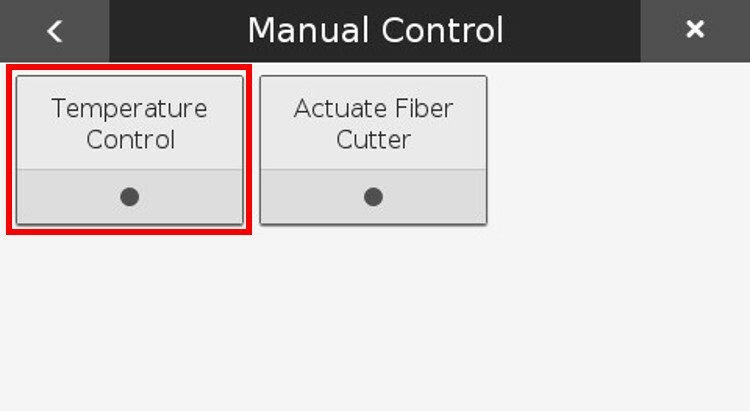 If so, please contact Markforged Support before trying to remove the fiber or continuing with any troubleshooting steps. 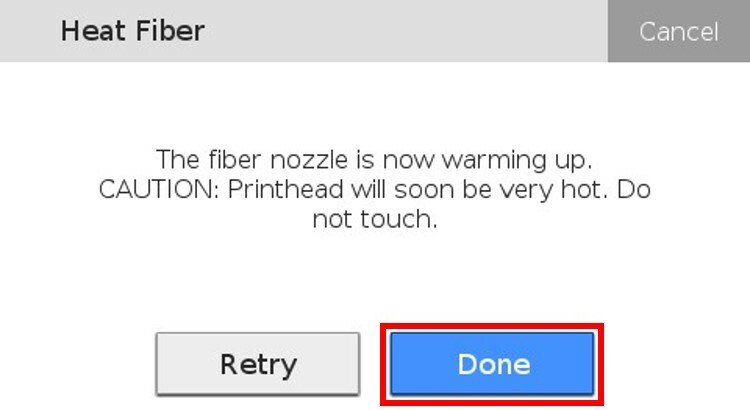 Once the nozzle and print head are cleared, replace the nozzle and Bowden tube and run the "Load Fiber" routine to confirm that fiber can be loaded through the nozzle. Note: If you have confirmed that everything is cleared but fiber still can't be loaded, please contact Markforged Support.